Bangkok, Thailand (Mar 24, 2015) - Absolute Hotel Services Group CEO Jonathan Wigley is delighted to announce the second member of U Hotels & Resorts in Chiang Mai, Thailand. The hotel will consist of 140 rooms and suites and set to open in late 2016. U Nimman Chiang Mai is located on Nimmanhemin Road and just minutes away from the shopping and entertainment area, the most hip and trendy area to visit when in Chiang Mai. The hotel will have a total of 140 rooms and suites, which will be well equipped with deluxe amenities. The overall design of the hotel will be industrial modern with a twist of Lanna influences throughout its interiors. Facilities include an all day dining restaurant with terrace bar, a library, a spa with five treatment rooms, a swimming pool, a gym and large garden area. For meeting and events the hotel will also provide a 720 sqm banquet space plus additional 300 sqm function lawn. Guests can enjoy and experience the U's unique concept of service including the 24 hour room which will allow guests to enjoy their room for 24 hours from check in as well as breakfast whenever/wherever during the stay, international and local calls at cost, pre-select amenities such as pillow, tea and soap that guests can select from our online U Choose programme and more. 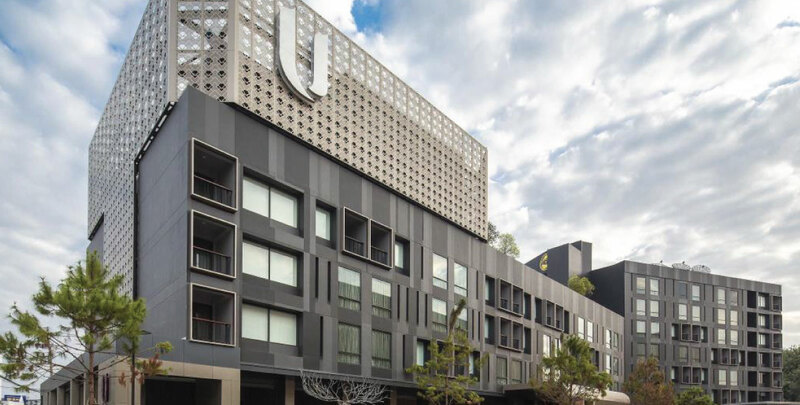 Jonathan Wigley said "We are very excited to add another U hotel in Chiang Mai in such location as Nimman which is quickly become the social hub of Chiang Mai."